My little girl is two! TWO! No matter how many times I say it I can't believe it. Being that she's the birthday girl, she got to pick the theme. Bubble Guppies it is! She's just a tad obsessed. Big girl wanted to start the party off with some swimming. Look how cute the Bubble Guppy these turned out! Not to mention my little Bubble Guppy! This one was like no other with the cake. She was crazed. She had to be watched. A pretty cake it was! My party girl with the Guppies! Cutest little two year old girl I've ever seen! Sharing the spotlight with her big brother! Momentarily since that's about how long I could get him to stand still. Liv and Grandpa and Grandma! I wasn't kidding about the cake! Sneaky girl! What can I say, she loves herself some cake. She gets it from her mama! Her introduction to a pinata! She kind of liked it! You know a present is good when Olivia stops opening presents to switch chairs. Frozen chair for the win. Or when the present gets a huge giant big hug afters he opens it. I love watching her two year old self open and get all sorts of excited about presents. Finally it was time for cake! 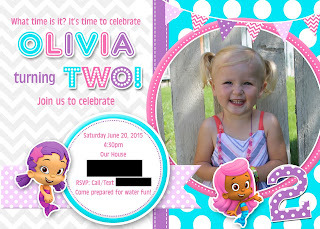 Olivia had only been waiting practically a lifetime! Blow out the candles baby girl! Cake and candy! All the things that make up a good party! At least when you're two! My little family post party! 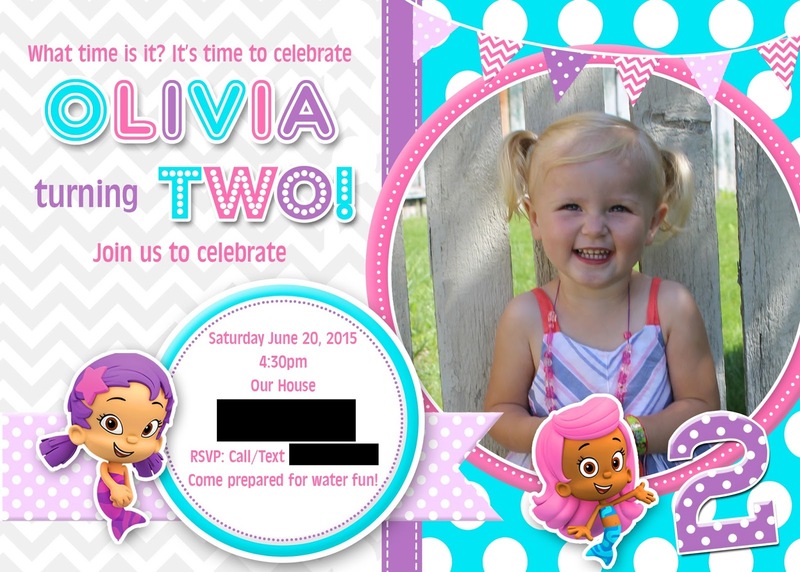 Happy second birthday Olivia! We love you with all the we are and hope that you loved every minute of your party!